Low Stock Indicator extension allows you notifications about items that are close to being out of stock via daily email reports. Manage stock levels and control your supply with ease. Choose the products you want to get notified about and customize the templates for the emails you will get. Quality inventory management is one of the keys to success in retail business. You always need to be well-informed about what is happening behind the scenes in your web store, because having a product out of stock in most cases means to lose customers. It’s impossible to track the stock level of every item and update it manually, because there is always a chance to leave something behind. 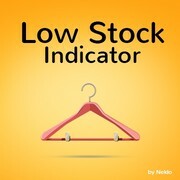 With our Low Stock Indicator extension this will never happen to your store. 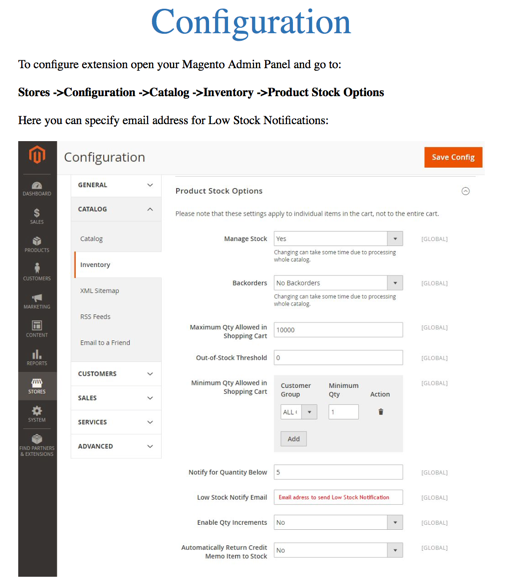 Adjust the stock extension to get notified every time the product needs to be restocked. 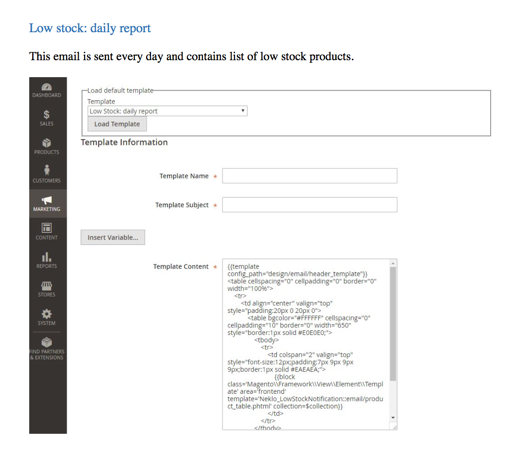 There are two default email templates added by Low Stock Indicator to choose from. Product name and low stock quantity can be specified in the Template Content. 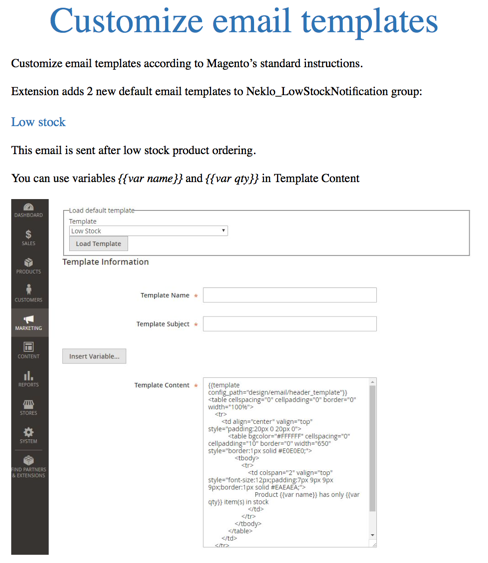 Besides that, you can also customize the email template according to Magento standard instructions. 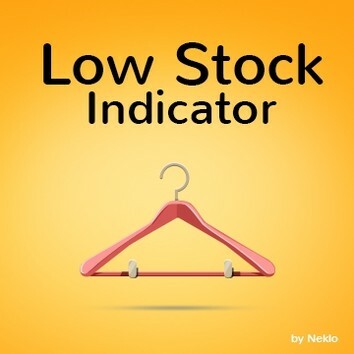 Low Stock Indicator sends fully automated reports. You can specify the notification email and set the lowest item quantity you would like to be notified about. You can customize the extension and specify the email address in Product Stock Options. The email is sent every day and contains a list of items that are low stock. The extension allows you to set a low stock threshold for each product and get reminded by automatic email notifications whenever a product stock goes below this level. Both the low stock limit and the email address for notifications are set in the admin panel. Once you do this, you will also receive daily email reports on low stock items. No matter how busy you are or how long your list of product is, you will be in total control of what is happening in your store.